The TuneBand for iPhone 7 provides a comfortable way to wear your device while running, exercising, working in the yard, cycling, or walking around the block. It features a protective silicone skin that allows access to all ports and buttons (including the front and rear cameras), and two (2) soft, elastic straps that fit arm circumferences from 7"-18" (about 18cm to 46cm). We also include two (2) screen protectors that cover the front of the iPhone. COMPATIBILITY: Fits a bare iPhone 7 *only. * Not to be used for the iPhone 6 or iPhone 6S or previous iPhone models. 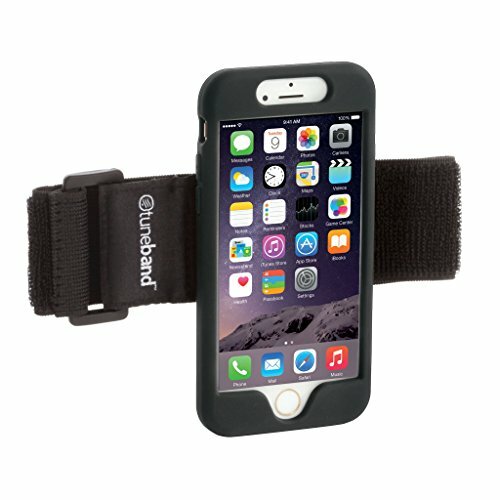 If you own a different device, then please search Amazon for the appropriate model TuneBand, or see our TuneBand Go which is a universal armband that can be used with the case on the device. COMFORT: We include two (2) soft, elastic Velcro straps of 12" and 19" to accommodate arm circumferences between 7" - 18" (about 18cm to 46cm). If you need a different size strap, please contact us to arrange for a strap of the appropriate size at our expense. No other armband offers 2 straps! SCREEN PROTECTION: We include two (2) screen protectors covers for the front of your iPhone 7. No other armband comes with screen protectors for your phone! If you have any questions about this product by Grantwood Technology, contact us by completing and submitting the form below. If you are looking for a specif part number, please include it with your message.